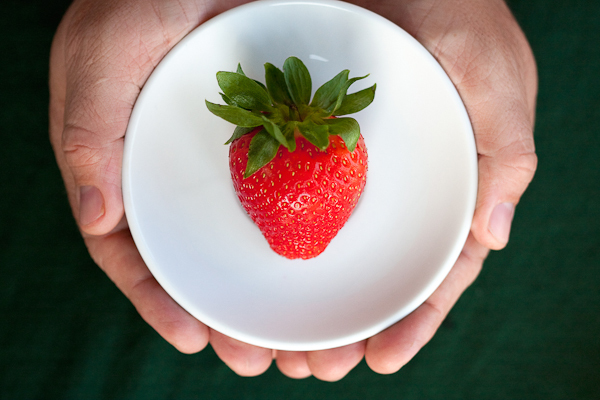 An image of a vibrant red strawberry on a simple white plate. A pair of hands hold the plate and there is a simple green background. This entry was posted on Tuesday, April 17th, 2012 at 3:15 pm. It is filed under Conceptual, Fine Art, Food, HOMEPAGE MAIN PICTURES, New Images and tagged with center, color, contrast, fine art, food, green, hands, print, red, simple, strawberry, vibrant, white. You can follow any responses to this entry through the RSS 2.0 feed.